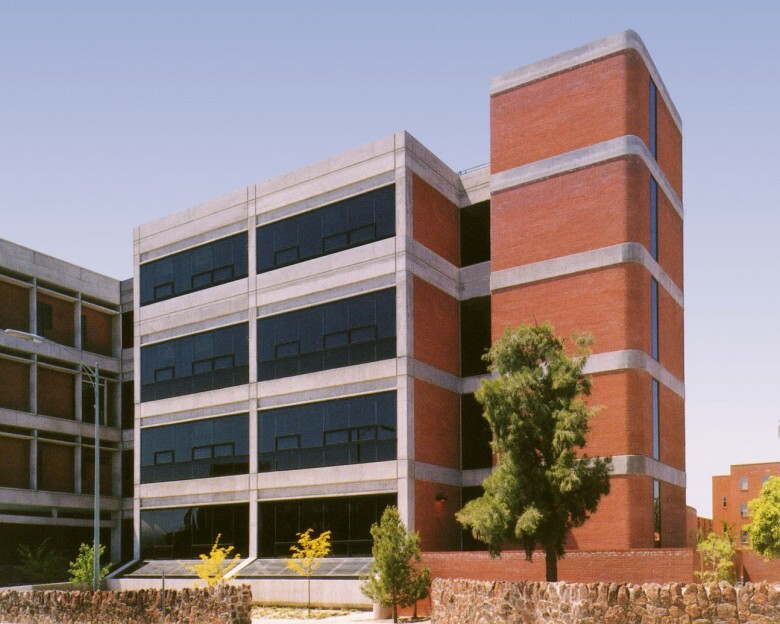 This 37,000 SF addition to the Steward Observatory complex on the University of Arizona Campus houses administrative offices for Steward Observatory and the Department of Astronomy. The addition contains a 240 seat state-of-the-art lecture theater, library, research offices, electronics laboratories, computer rooms, and clean rooms. Laboratories in the environmentally controlled core of the building are surrounded by offices enclosed by a glazed perimeter skin. A more recent addition, also designed by Swaim Associates, provides a fifth floor for additional faculty offices. This addition was constructed while the entire facility remained in operation. This entry was posted on August 29, 2013 by swaim_admin.